The Brow Powder Duo is a small compact with a light and dark shade to do your brows with. 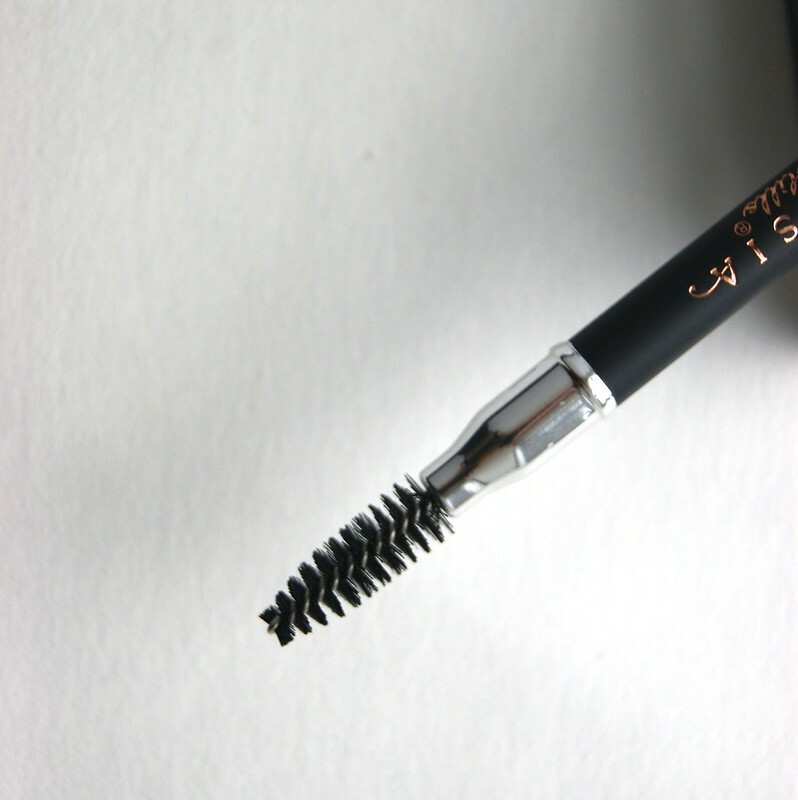 Because the powder attaches itself between the eyebrow hairs perfectly, it doesn't smudge. The color I received is Taupe (based on the scheme), but it's available in various colors: Blonde, Taupe, Ash Brown, Medium Brown, Dark Brown, Caramel, Soft Brown, Chocolate, Ebony, Granite and Auburn. 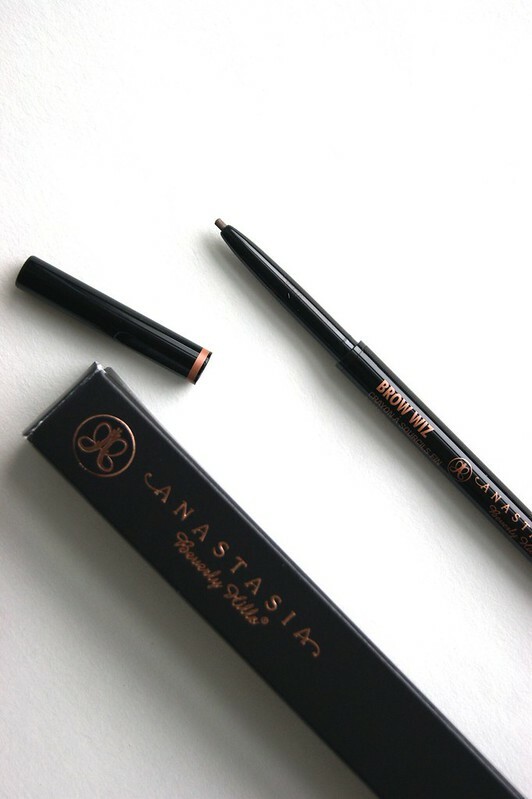 To me, the Perfect Brow Pencil can be used best to fill up gaps that the powder might have missed and to outline and enhance the shape of your brows. 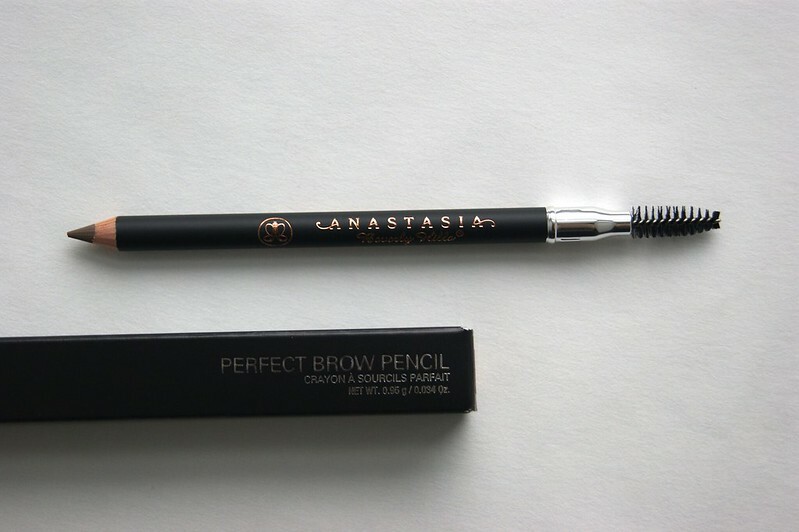 The fact that it comes with a brow brush, is an extra plus for me. The color pictures above is Taupe, but the pencil is also available in the following shades: Blonde, Taupe, Soft Brown, Medium Brown, Dark Brown, Caramel, Granite and Auburn. 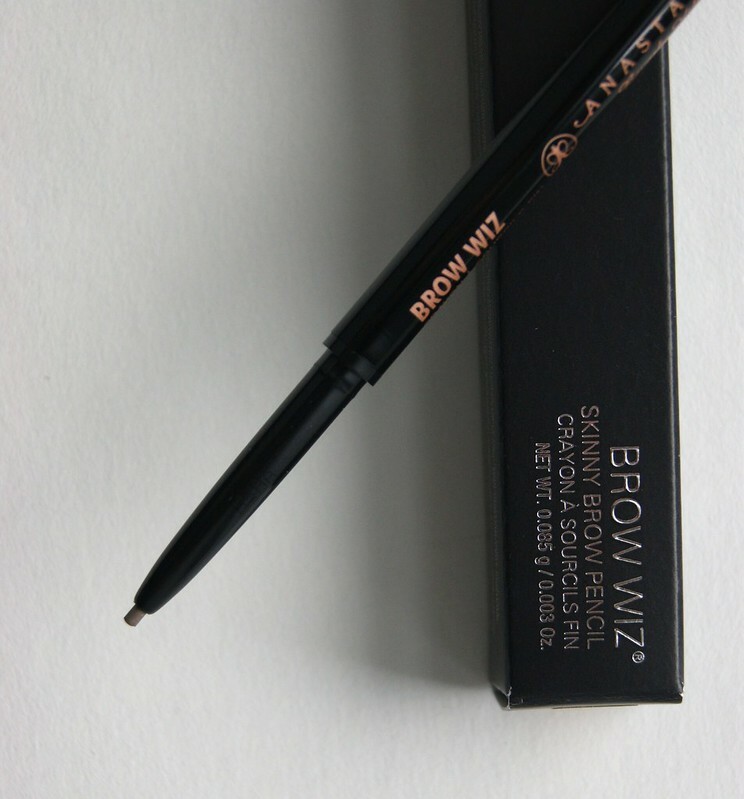 The Brow Wiz is a super fine pencil, which is perfect if you like a softer and a more natural look. 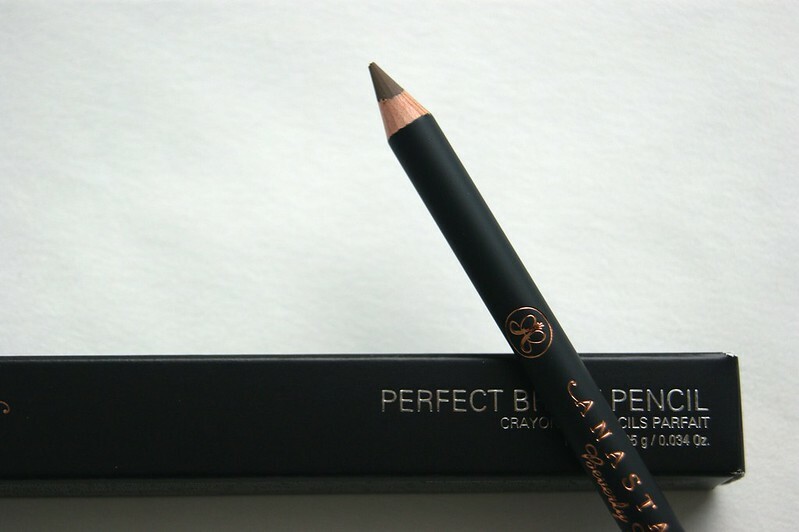 The fine, retractable pencil tip is perfect to draw eyebrows hair in between the real ones. I later discovered that the other side also hides an eyebrow brush -- oops. Again, I received the color Taupe, but it's also available in the following colors: Ash Blonde / Taupe, Medium Ash / Medium Brown, Brunette / Dark Brown, Caramel, Soft Brown, Ebony, Granite, Chocolate and Auburn. 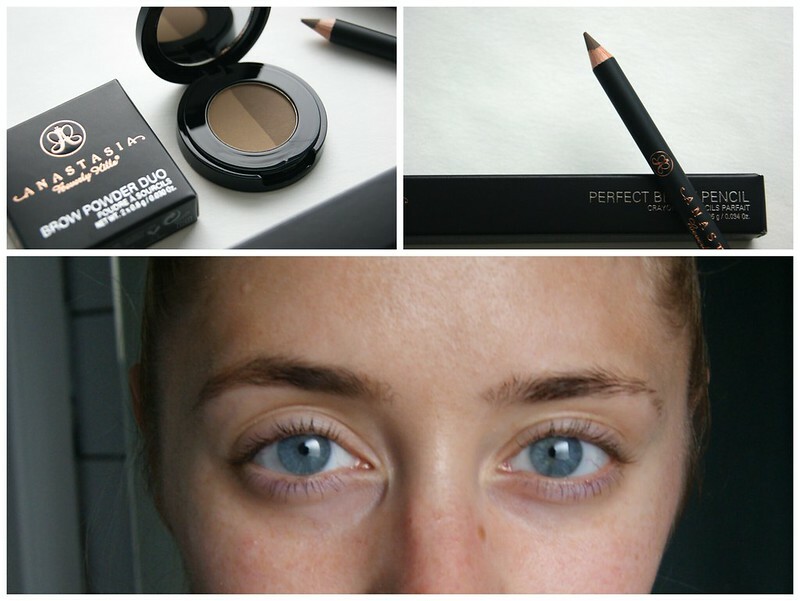 In the picture above, I used the Perfect Brown Pencil to lightly define the shape of my brow and used the Brow Powder Duo to intensify the brow and give it some more dimension. I used the light color in the beginning of my brow and a mix of both colors on the rest of it. As for the Brow Wiz: it just isn't my thing. Personally, I find the tip too sharp and hard; the other products were just easier and more fun to work with. I didn't do anything with my left brow for the picture, so that you could see the difference. As you can see, my natural brows are irregular with gaps, without a defined shape and I basically hate them. I love the end result: my brow looks full, yet still natural. I've tried several products from different brands, but looked like a clown most of the time. 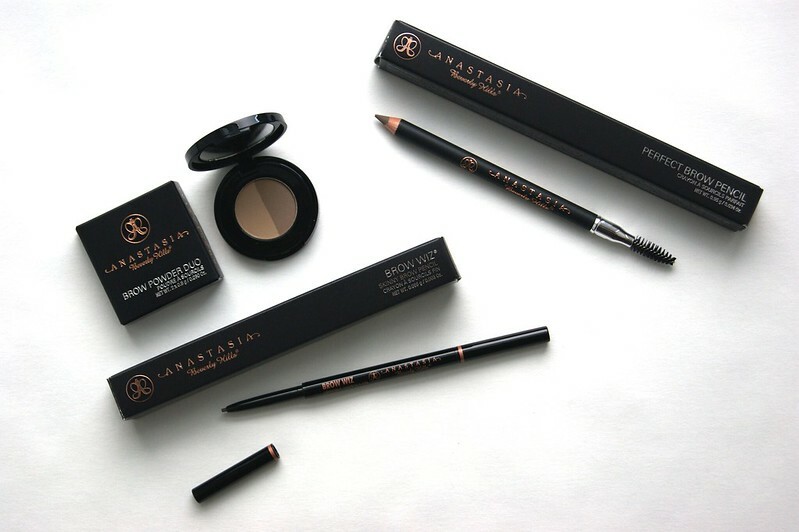 However, I'm impressed by the Anastasia Beverly Hills products. 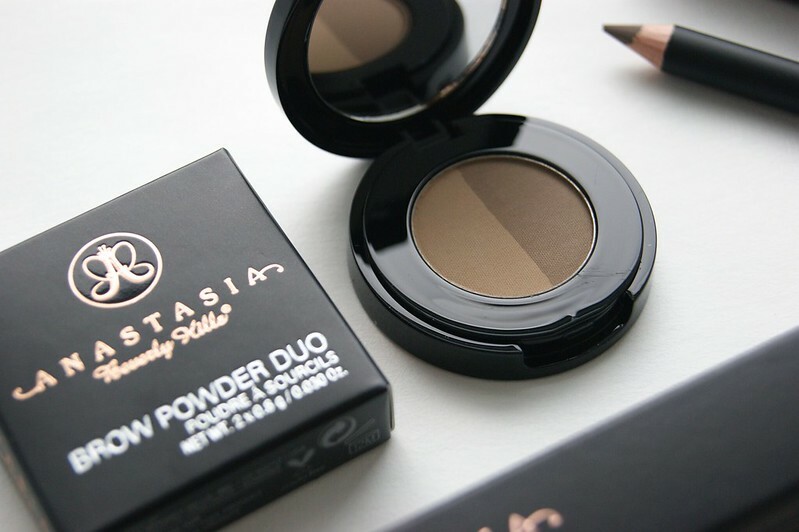 The Brow Powder Duo is the one I prefer most: the light and dark color are perfect to build up the shade you want. What are your brow secrets?